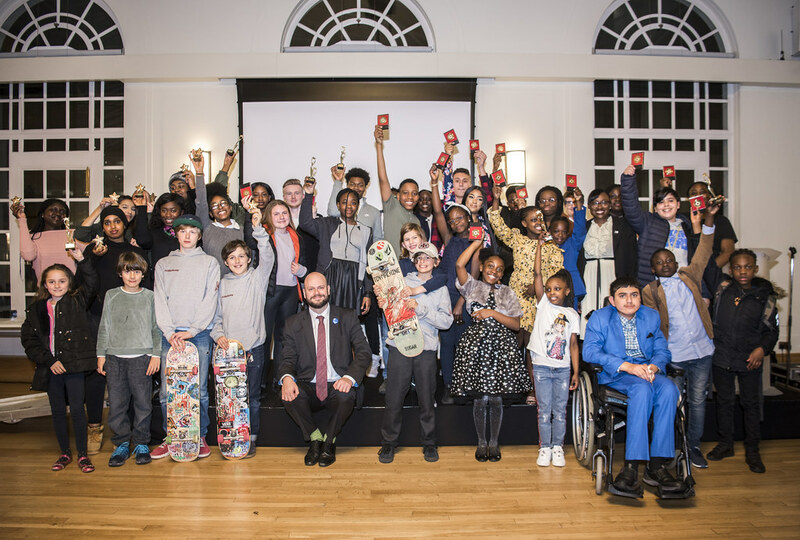 March 2019 saw the most recent edition of the Hackney Youth Awards, an event hosted by Young Hackney celebrating the achievements of exceptional young people who have achieved incredible feats over the last year. Categories ranged from achievements in Sport and Arts, to recognition for volunteering. In 2016, Philip Granville made a commitment to make the awards an annual celebration to recognize the impact that young people are making in the borough. For Voyage leadership is a fundamental part of our work and from the moment that young people enter our programmes to the moment they leave, they recognise that they have the capacity to be agents for change in their communities. Consequently, we were incredibly proud to have two of our young leaders receive awards. Sophie Eziulo won an award in the ‘Overcoming Adversity’ category and Mateenah Adeleke was the recipient of the ‘Community Impact’ Award. We can’t boast enough about the achievements of these two as Mateenah led in a project improving an outside space in Hackney Wick and has gained a position on the Youth Parliament. In her role Mateenah strives to ensure issues like community safety, disability awareness and housing agendas include a youth voice. Sophie became a peer first aid facilitator, meaning that she can teach First Aid to others and has endeavoured to make Voyage an inclusive and welcoming organisation to scores of young people in Hackney. Unfortunately, we hear so much about young BAME individuals being victims and perpetrators of crime and we don’t see enough examples of amazing young people like Sophie and Mateenah. Given this we want to thank Young Hackney for hosting this event and more importantly, Sophie and Mateenah for being true examples of Leadership we wish to see more in our community. https://voyageyouth.com/wp-content/uploads/2019/04/youth-awards-2.jpeg 1600 1200 Paul Anderson https://voyageyouth.com/wp-content/uploads/2019/01/Voyage-Logo-600px-trans-white.png Paul Anderson2019-04-01 15:17:212019-04-01 17:20:46Voyage participates in Hackney Youth Awards.